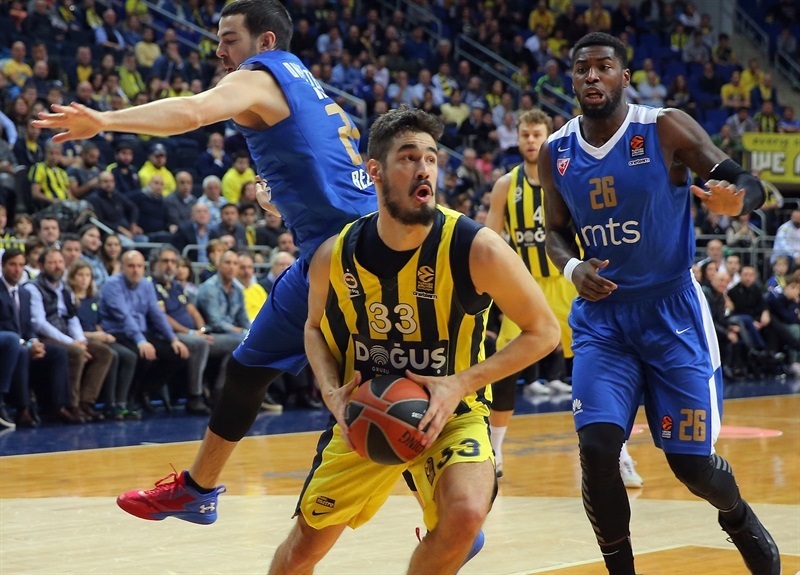 Fenerbahce Dogus Istanbul bounced back from last week's home loss by downing Crvena Zvezda mts Belgrade 82-56 at Ulker Sports and Event Hall on Tuesday. 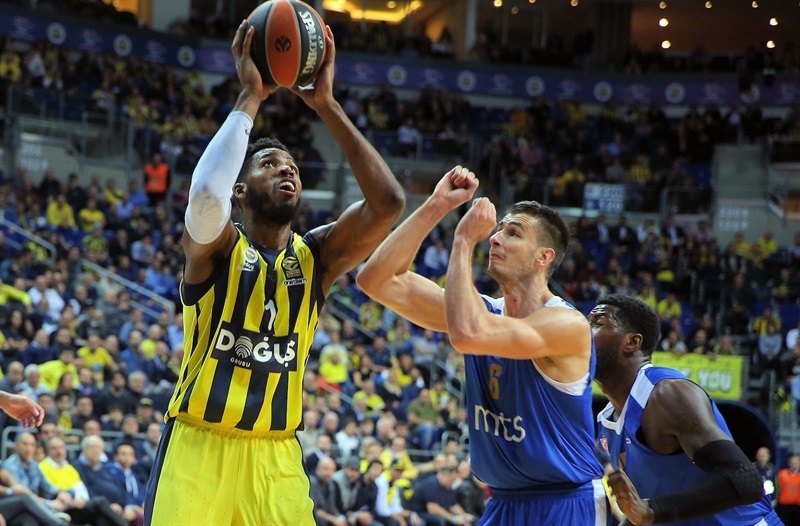 Fenerbahce improved to 9-4 in the standings while Zvezda dropped to 5-8. 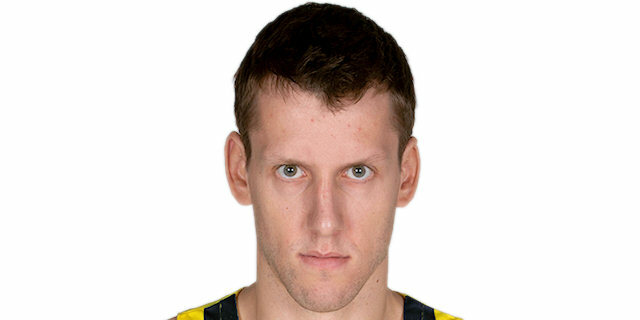 Jan Vesely led the winners with 15 points and 8 rebounds. 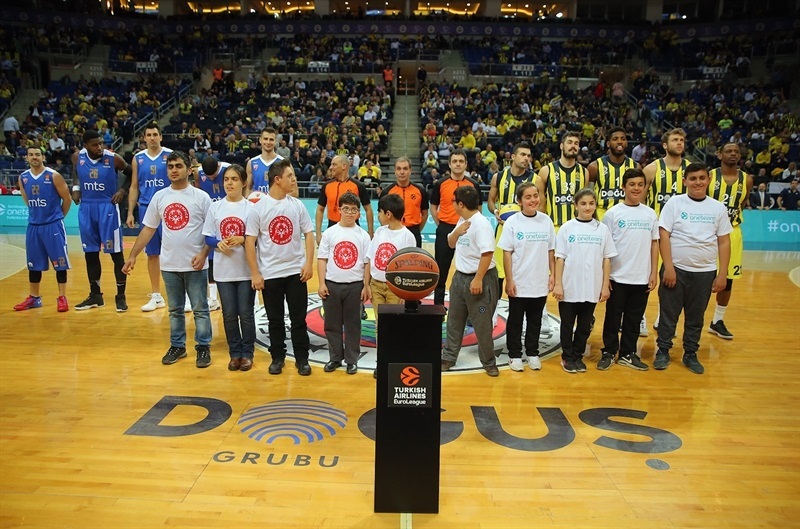 Luigi Datome and Brad Wanamaker each added 13 points, while James Nunnally had 12 and Nicolo Melli 10 for Fenerbahce. 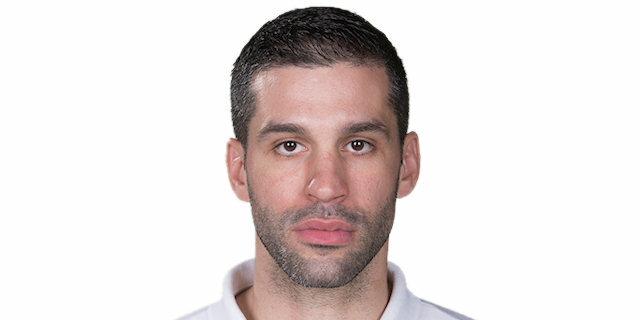 Ognjen Dobric led Zvezda with 15 points. 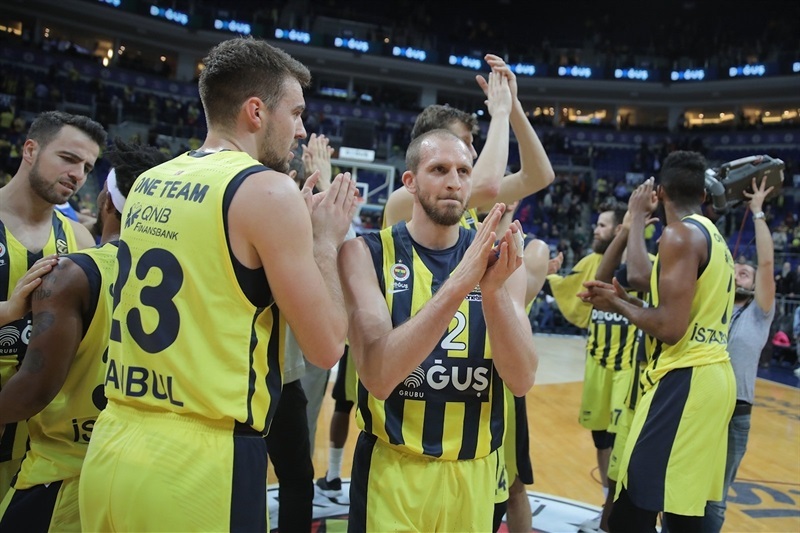 Vesely and Kostas Sloukas helped Fenerbahce to overcome a slow start by giving the hosts a 17-11 margin after 10 minutes. Dobric and James Feldeine soon combined for all the points in a 0-9 run to give Zvezda a 21-25 edge. Fenerbahce answered with an 11-0 blast that Melli capped with a triple for a 41-33 margin at halftime. Wanamaker took over with 10 points in the third quarter. 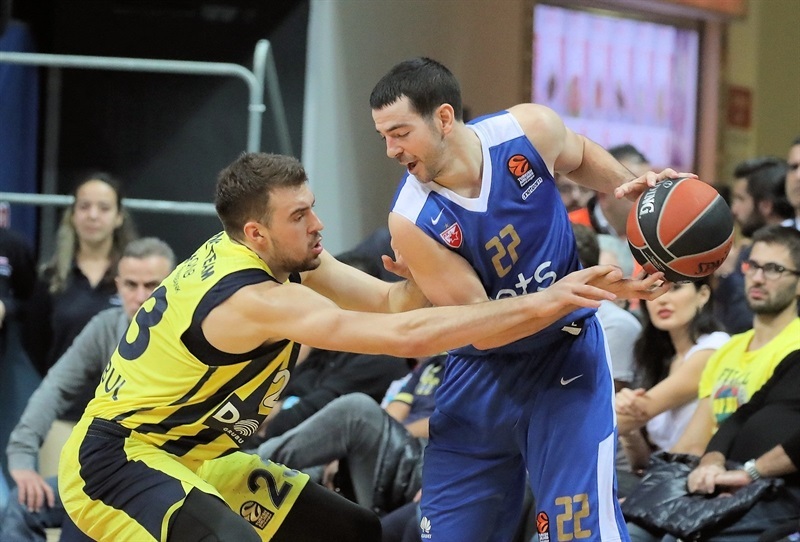 He got help from Datome and Vesely to break the game open, 62-42, after 30 minutes. 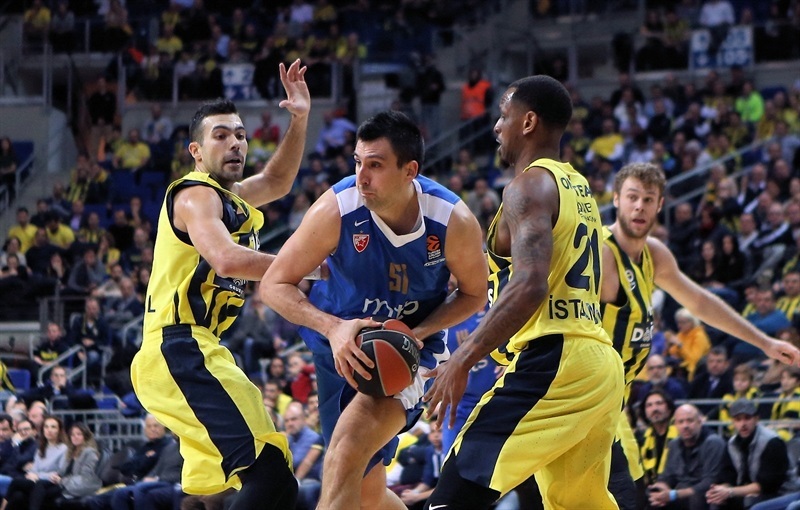 Fenerbahce soon boosted its lead to 73-48 and never looked back. Feldeine and Nunnally got their respective teams going with driving layups. Mathias Lessort's score down low and a floater by Rochestie gave Zvezda a 2-6 lead. Feldeine and Lessort made free throws but Vesely had 4 points, including a two-handed slam, in an 8-0 run that put the hosts in charge, 12-9. 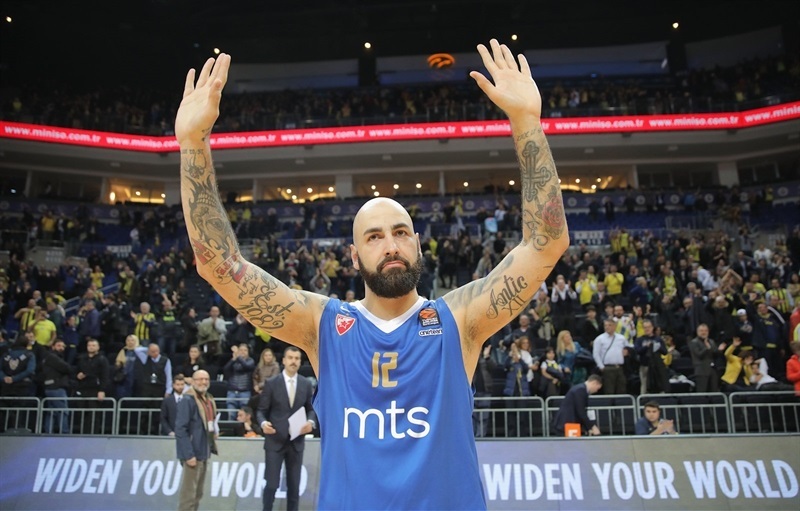 Datome bettered Pero Antic's layup with a triple and Marko Guduric beat the first-quarter buzzer with a closer basket for a 17-11 Fenerbahce lead after 10 minutes. 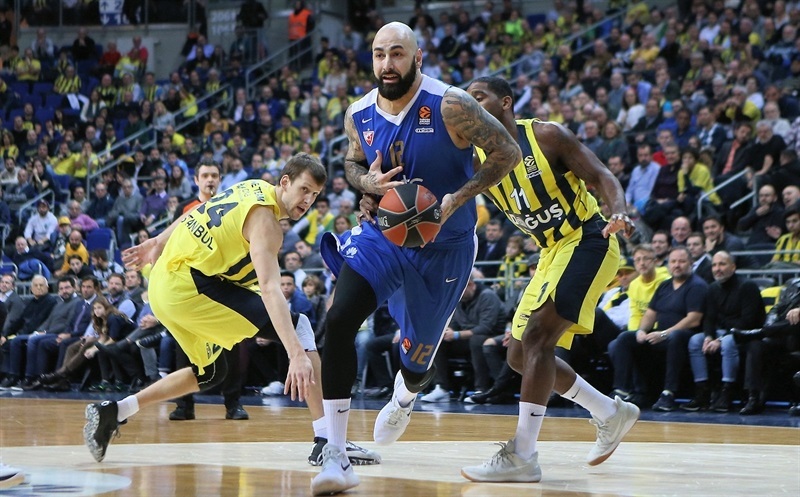 Antic struck from downtown early in the second quarter and Dobric added a triple but Guduric and Datome kept the hosts ahead, 21-16. However, Dobric and Rochestie combined for all points in a 0-9 run that made Zvezda regain the lead, 21-25. 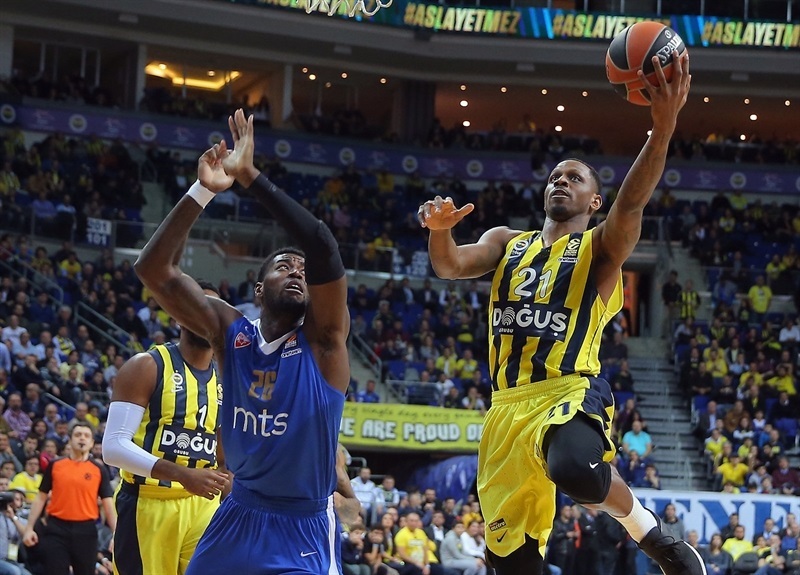 Vesely followed a jumper with a put-back slam and even when Rochestie struck from downtown, Nunnally and Melli fueled an 11-0 run that gave Fenerbahce a 36-28 margin. Nemanja Dangubic hit a triple before free throws by Datome and a layup-plus-free throw by Wanamaker made it a double-digit game, 41-31. A layup by Feldeine fixed the halftime score at 41-33. Wanamaker struck from beyond the arc and Datome added free throws to break the game open, 47-33, soon after the break. Antic and Dobric tried to change things for Zvezda but a red-hot Wanamaker got help from Melli and Vesely, whose put-back slam made the guests call timeout at 58-40. A jumper by Datome and a dunk off a steal by Wanamaker made it a 20-point game, 62-42, after 30 minutes. Vesely stepped up with a three-point play early in the fourth quarter. Nunnally followed a triple with a driving layup and Melli struck from downtown to seal the outcome, 73-48, with more than 6 minutes left. 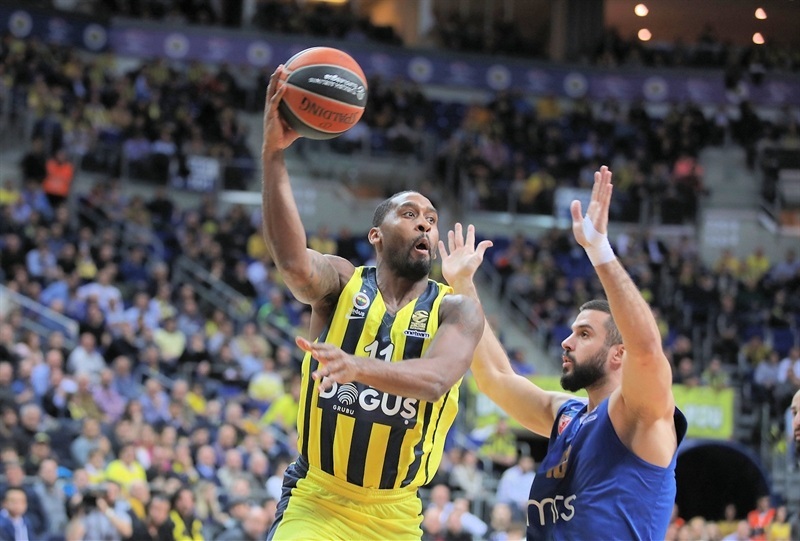 Zvezda kept trying, but Fenerbahce had cruised to a well-deserved win. 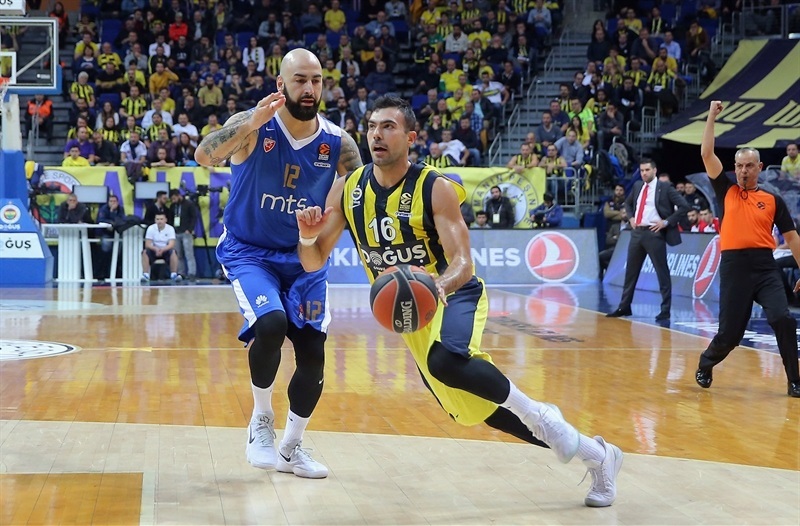 Both teams return to Turkish Airlines EuroLeague action on Thursday: Fenerbahce visits Maccabi FOX Tel Aviv while Zvezda hosts Panathinaikos Superfoods Athens. "We talked at halftime than we needed to change the defense and play more aggressive defense. I believe this was the key in the second half. Of course it is important (to get a contribution from a lot of bench players). It is understandable that Crvena Zvezda was very tired because they had two long trips to play in Valencia, then in Montenegro and then coming over here is not an easy situation. Also for us, I am thinking about the next game that we will play against Maccabi. I tried to rotate all the players." 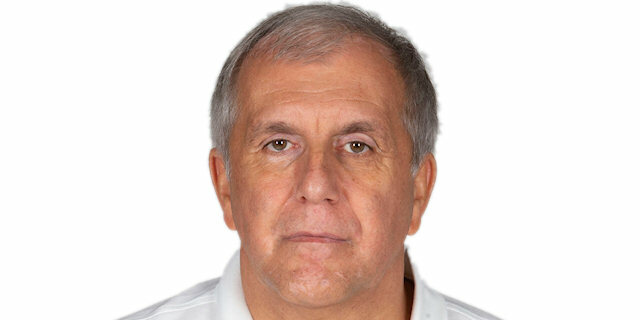 "Congratulations to Fenerbahce and to Coach Zeljko Obradovic for this win. 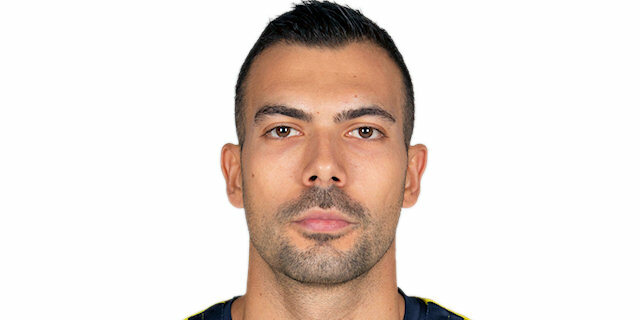 Like I said before the game, Fenerbahce shows you all your minuses, because they attack exactly what they want to attack. They show you that you are physically not in line with them. If you are late in rotation they punish you. So this is for us a school and we must keep growing from match to match." 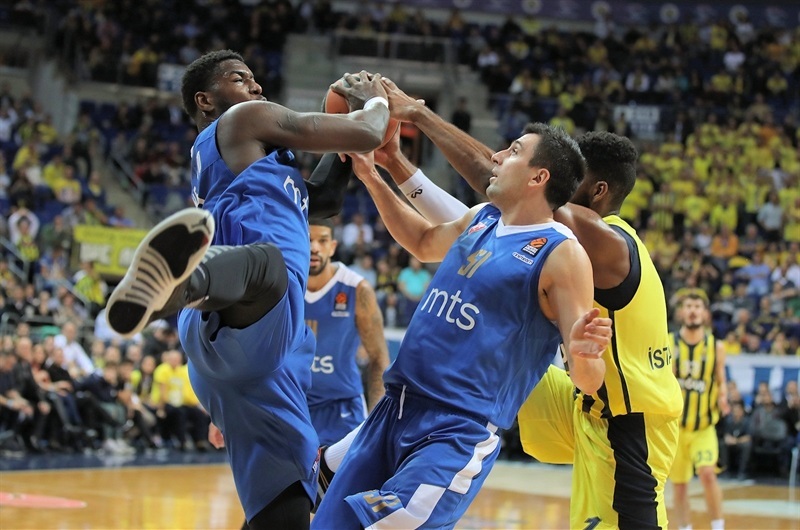 "After a very bad game against Zalgiris, we played another home-court game. I think we controlled the rhythm of the game, played good defense and we deserve 100 percent this big win. Now, in front of us, we have a big challenge to go to Maccabi, because you know how strong they are at home, and play to win the game." "Of course, home games are special because of our fans. They are making a great atmosphere. Every game is important for us and we have to play much better on our home court. We lost our last game at home, so we had to play much better. It is not easy: we prepared well for this game and stuck to our game plan. We didn't do that against Zalgiris. We did a great job today and have to continue. It is important that everybody helped the team and were ready. That is a very important thing. It is not easy because we played Sunday, today and in 48 hours. It is important that everybody plays and the rotation is so long."